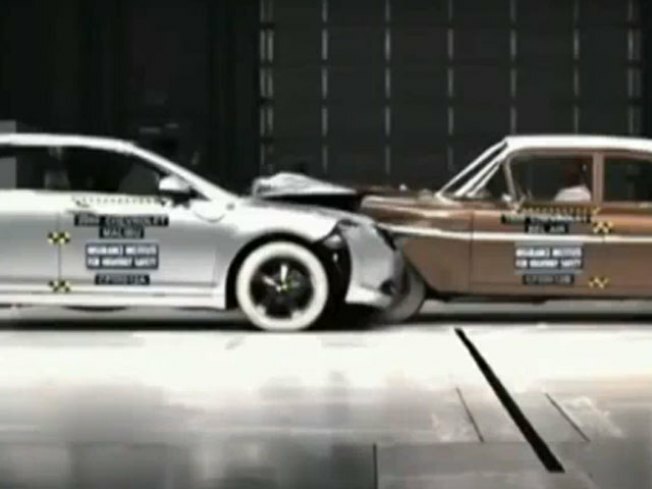 To celebrate their 50th Anniversary, the Insurance Institute for Highway Safety decided to crash a 1959 Chevrolet Bel Air into a 2009 Chevy Malibu and make a video. Sounds like fun right? The improved safety features in today’s cars tell a remarkable story. According to the safety engineers, the driver of the Malibu would walk away with a slight knee injury. The driver of the Bel Air would have died instantly. Check out the video below. Thanks to Jalopnik for passing this one along.